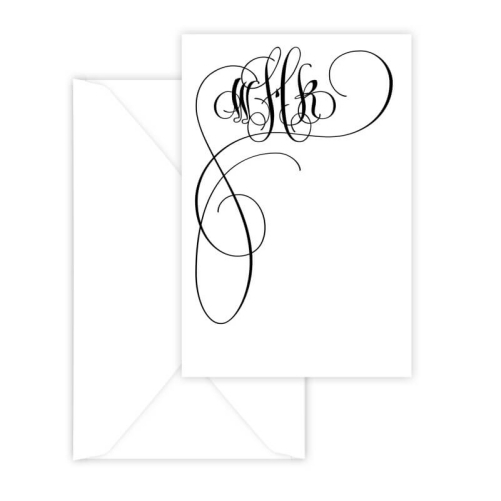 Our Celeste Monogram Vertical Enclosure - Raised Ink offers 11 shiny, raised ink colors and a choice between 2 monograms printed on our quality, single-thick paper. 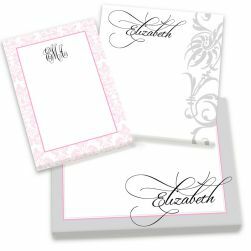 This folded enclosure allows for additional message writing space on the inside panels. 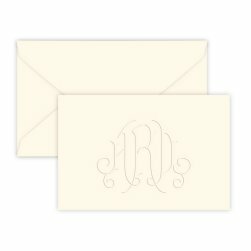 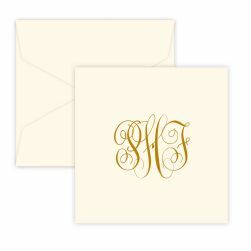 Celeste Collection monogram choices include: Orchid and Fiona monograms.